Quantum physics is more than a century old; yet, people’s eyes still glaze over when they first hear of its strange ways. In the sub-microscopic world of elementary energy particles, the universe acts very differently from the one we know in our physical world. As it turns out, the quantum world actually reveals the true nature of the universe, while what we see on the physical level is a carefully-created illusion. For example, at any point in time, life presents an array of infinite possibilities. When you make a decision as to what to do next, then – only then – does your immediate future become a reality instead of just another possibility. Then, and only then, does the next step in your history get written. In quantum physics, energetic particles, such as photons of light, only become particles of energy when you focus your attention upon them. Until then, they remain as fields of influence which radiate waves of energy, not particles. These waves of energy, rather than traveling as particles directly from A to B, spread out as waves that explore all possible paths before them. Energy particles live in a world of possibilities, waiting to be made manifest by a conscious decision from someone, somewhere. In a conscious universe, any form of attention, even that of a passive observer, manifests actual particles from the waves of potential. As a human, you were born to manifest a life from infinite possibilities. At each step along the way, you create history by deciding which possibility to explore and working your way through that action. You choose and create the experience from the potential and make it manifest. The quantum world gets even stranger when you find that, in its natural, unmanifested state, it is free from the constraints of time and space. Electrons routinely affect their own future, and even their own past. Quantum physicists even had to include “negative time” (traveling into the past) in their equations in order to include the time travel which is exhibited at the quantum level. Now, if the quantum world is the real world, the one from which our stable reality is constructed, then what does this mean for our possibilities? It certainly means that we have infinite choices for the future. The burning question is, how will the different choices turn out? By empowering your connection to your inner being, to your soul consciousness, you enter the realm where all possibilities are real – very real – a place where you have the power to evaluate any and all of your greatest potentials. This entry was posted in Online Courses, Owen K Waters, Spiritual Dynamics, Spiritual Metaphysics on October 29, 2015 by Owen K Waters. 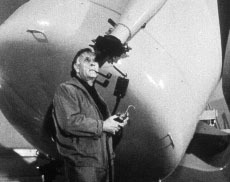 The Big Bang theory was first validated by the observations of Edwin Hubble (1884-1953), of Hubble Telescope fame. He first observed that the faster a galaxy travels, the further it also is away from us. This supported the theory that the galaxies all started in one place and exploded outwards from there. With the help of the orbiting Hubble Telescope, the size of the universe is currently estimated at approximately 15 billion light-years across. However, it is now calculated that the universe must have needed more than just the initial impetus of a “big bang” in order to manifest in the way that we see it today. The theory of Inflation was later proposed to describe this additional impetus. It states that an unknown extra force inflated the early expansion of the early universe so that it could become what it is today. While the duration of a big bang event would have been much less than a microsecond, a period of inflation would have lasted for at least 300,000 years. The basic scenario of the Big Bang theory is that the universe started out as something very small and then expanded outwards to become what we see today. That, however, leaves us with one great, unanswered mystery. What Existed Before the Universe Came Into Being? What lies beyond the envelope which contains the universe? The universe was created by Infinite Being, the original consciousness. It created physical space along with the other dimensions which make up a working universe. These other dimensions (measurable variables of existence) include time, energy, and consciousness at the human level of expression. So it makes sense that physical space would extend no farther than the edges of the created universe. Beyond those edges, there is only consciousness. Matter cannot exist outside of the edges of the universe because it was the universe that provided the framework for the formation of matter. There is no physical matter, no space, no time, and no energy outside of the universe. So, what’s left? What could possibly exist outside of the envelope of the universe? Consciousness is the next frontier of science. Everything in the universe is made of it. Consciousness is the elusive factor in the mysteries of quantum physics. It makes subatomic particles manifest in physical reality. Without consciousness, subatomic particles simply don’t materialize out of the pre-physical world of quantum energy. It takes consciousness to manifest the illusion of physicality. There can be nothing outside of the universe of space, time and energy – other than consciousness. The ultimate, and primordial, state of consciousness is Infinite Being. Before Infinite Being created the universe, there was only consciousness. In fact, there still is only consciousness, because energy forms matter, and consciousness forms the energy that runs the universe. The illusions of space and time are but facets of consciousness. Space, time and energy are merely props upon the stage of this vividly realistic theater of life. Life is basically consciousness, and only consciousness. Science has progressed over the last 300 years as the result of disciplined, scientific method and, in general, reliance upon the physical senses. This outward focus, however, will not serve science in discovering the meaning of consciousness because consciousness is within, not without. The development of inner consciousness is the new frontier of discovery. This entry was posted in Metaphysics, Owen K Waters, Spiritual Dynamics, Spiritual Metaphysics on October 17, 2015 by Owen K Waters.